HÃ¥kan Forss, King (interactive entertainment games), presentation at the GOTO Copenhagen 2015 conference. I strongly recommend Mike Rother’s book: Toyota Kata. Kata means pattern, routine, habits or way of doing things. Kata is about creating a fast “muscle memory” of how to take action instantaneously in a situation without having to go through a slower logical procedure. A Kata is something that you practice over and over striving for perfection. If the Kata itself is relative static, the content of the Kata, as we execute it is modified based on the situation and context in real-time as it happens. A Kata as different from a routine in that it contains a continuous self-renewal process. I think the great number of worthwhile conference presentations we can all now get sitting wherever we are provides us a great opportunity (and lets us avoid missing out of good ideas because “How could they know“). A point made in the presentation that is very simple but still constantly the source of failure is that the current system isn’t supporting improvement. Retrospectives are a good method to help improve but if there is no time to think about the issues raised and come up with experiments to improve and review of whether those experiments worked or not and why failure to improve is the expected result. Creating a culture where it is expected that any improvement ideas are tested and evaluated is one of the most important changes on the path to a company that will be able to continually improve. If not, what happens is some changes are good, many are not and soon people lose faith that any effort is worth it because they see how poor the results are. By taking care to evaluate what is working and what isn’t we create a process in which we don’t allow ad hoc and unsuccessful changes to demoralize everyone. This entry was posted in Lean thinking, Process improvement, Software Development and tagged agile management, culture, kata, Lean thinking, Process improvement, retrospective, Software Development on August 23, 2016 by John Hunter. This month the ASQ Influential Bloggers were asked to respond to the question – will the future of quality be evolutionary or revolutionary? I think it has been and will continue to be both. Revolutionary change is powerful but very difficult for entrenched people and organizations to actually pull off. It is much easy to dream about doing so. Often even revolutionary ideas are adopted in a more evolutionary way: partial adoption of some practices based on the insight provided by the revolutionary idea. I think this is where the biggest impact of W. Edwards Deming’s ideas have been. I see him as the most revolutionary and worthwhile management thinker we have had. But even so, few organizations adopted the revolutionary ideas. 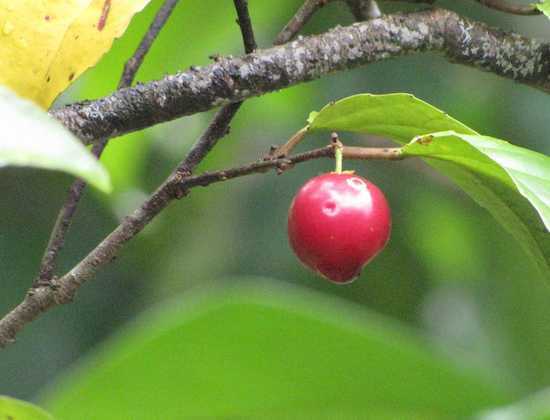 Most organizations nibbled on the edges and still have a long way to go to finally get to a management system he was prompting 30,40 or more years ago. A few organizations really did some revolutionary things based on Deming’s ideas, for example: Toyota. Toyota had some revolutionary moves and adopted many revolutionary ideas brought forward by numerous people including Taichii Ohno. But even so the largest impact has been all those that have followed after Toyota with the lean manufacturing strategies. And most other companies have taken evolutionary steps from old management paradigms to adopt some new thinking when trying out lean thinking. And frankly most of those efforts are so misguided or incredible small they barely qualify. But for those that successfully improved their management system they were mainly evolutionary. This entry was posted in Deming, Lean thinking and tagged ASQ Influential Voices, change, commentary, continual improvement, leadership, Lean thinking, Toyota Production System (TPS) on August 26, 2014 by John Hunter. Managers that don’t care about effectiveness are lousy managers. Leaders that don’t care about the gemba are lousy leaders. Doctors that don’t care about patients are lousy doctors. Nurses that don’t care about theory are lousy nurses. Your role in the organization (and for the particular situation in question) and training and the situation will impact how you contribute. But the attitude that leaders are visionaries that think big thoughts, make decisions then tell everyone what to do (act as the brain for the organization) is outdated. Every list of what traits are for leaders that then contrasts them with managers that I have seen shows leadership traits managers need. Seeking to separate leadership and management is a bad idea. If you want to have a few leadership traits that you want to focus on at various points (creating engagement, communicating a vision, building consensus, setting organizational direction) that is fine. But those things are traits managers need; they are not traits reserved for some separate leadership cadre. And disconnected leaders that don’t understand the organization, the organizations customers etc. are not going to lead well (normally the contrast lists have the managers doing all the hands on stuff, at the gemba, with customers etc.). Nurses may not have as complete an understanding of the theories behind medical treatment decisions but they need to know a great deal of theory to do their jobs well. Everyone contributes and has different roles to play but I don’t see value in the contrast of leaders and managers mentality. From what I have seen mainly the manager v. leader comparisons seem to be about belittling managers and elevating leaders; but leaders are this vague concept that isn’t well defined. Who are these leaders? Are they only senior executives? They can’t be managers because you are contrasting them with managers – by the contrasting model used they can’t be leaders and managers. This entry was posted in Lean thinking, Management, Popular, quote and tagged commentary, curiouscat, leadership, Lean thinking, Management, Popular, Systems thinking on October 14, 2013 by John Hunter. This month Paul Borawski asked ASQ’s Influential Voices to explore two questions; first, what is the most important challenge the quality community faces in ensuring that the value of quality is fully realized for the benefit of society? I really think it is just getting the good ideas to improve management, that have been around for decades, adopted. This might not seem that important. But I hear almost no talk about this and tons of talk about all sorts of “new ideas” for management. The “new ideas” that I look into don’t seem like very new ideas to me. The best of these ideas are usually well thought out tweaks and enhancements (along with a potentially better presentation of the core ideas) that are useful. But they are really just about getting old ideas adopted, it seems to me. Still this is good and useful work. Unfortunately the vast majority seems to me to be overly simplistic ideas that involved more thought in creating something to market than in creating something to improve the practice of management. We seem to spend all sorts of time and energy focused on new branding for management ideas when we would be better off focusing on how to get organizations to adopt good practices. I think the distraction with finding new ways of clothing the same old ideas is a distraction that prevents focus where it would be more worthwhile. This is especially true because those rebranding old ideas often don’t understand the old idea. They seem to see it would easier to sell if it were simplified so they do that and rebrand it but they don’t understand that they left of critical components and it won’t work – even if it is easier to sell. This entry was posted in Lean thinking, Process improvement and tagged ASQ Influential Voices, Lean thinking, management history, quality, Six sigma on June 19, 2013 by John Hunter. Paul Levy started the Running a Hospital blog when he was the CEO of Beth Israel Deaconess Medical Center. Thankfully he has continued the blog, renamed to Not Running a Hospital, after leaving that position. Paul provides a huge number (the lowest number of posts in a month was 32) of valuable posts focused on health care, but worthwhile for everyone interested in improving the practice of management. 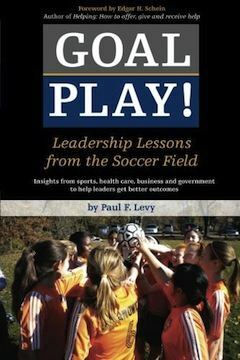 In addition to his blog, during 2012 Paul published a wonderful book – Goal Play! : Leadership Lessons from the Soccer Field. In my first 2012 management blog review I take a look at Not Running a Hospital. Medtronic’s Lean Journey – “They knew they would have to think big, but then sweat the details. Over time they figured out how to collaborate. 1 — Define our operating standards, who we aspire to be. 2 — Set a global expectation to accelerate improvement. 3 — Develop the ability to assess current state. 4 — Create ongoing mechanisms to learn and leverage to close gaps. Sarah Patterson informs about Lean – “Would like Va Mason org to operate like an aircraft carrier. How to run a complex business safety. Aircraft carrier = an airport on top of a nuclear power plant comprising a bunch of 19 year olds! Aircraft carrier needs complete alignment with the mission. If not done well, puts others at risk. Aircraft carrier requires an incredible commitment to adoption of standard work. Relentless focus on training. Create jobs that are doable. Train people to do them. Hold people accountable to them. This entry was posted in Health care, Management and tagged Health care, Lean thinking on January 3, 2013 by John Hunter. I recently was interviewed for a podcast by Joe Dager, at Business 901: Dr. Deming on Lean in 2012. I hope you enjoy the podcast. Statistics for Experimenters by George Box, Bill Hunter and Stu Hunter. This entry was posted in Lean thinking, Management and tagged Deming, interview, John Hunter, lean manufacturing, Lean thinking, podcast, Toyota Production System (TPS) on November 13, 2012 by John Hunter. 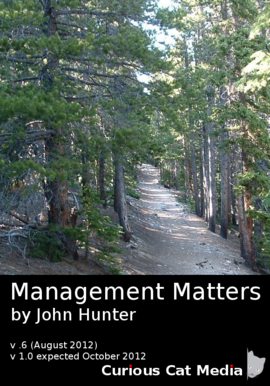 Management Matters by John Hunter is now available. I have a new book in progress: Management Matters. It is now available in “pre-release format” via leanpub. The idea I am experimenting with (supported by leanpub) is pre-publishing the book online. The ebook is available for purchase now, and comes with free access to the updates. My plan is to continue working on the book for the next few months and have it “release ready” by October, 2012. One of the advantages of this method is that I can incorporate ideas based on feedback from the early readers of the book. There are several other interesting aspects to publishing in this way. Leanpub allows a suggested retail price, and a minimum price. So I can set a suggested price and a minimum price and the purchaser gets to decide what price to pay (they can even pay over suggested retail price – which does happen). The leanpub model provides nearly all the revenue to the author (unlike traditional models) – the author gets 90% of the price paid, less 50 cents per book (so $8.50 of a $10 purchase). They provide the book in pdf, mobi (Kindle) and epub (iPad, Nook, etc.) formats. And the books do not have any Digital Rights Management (DRM) entanglements. Management Matters covers topics familiar to those who have been reading this blog for years. It is an attempt to put in one place the overall management system that is most valuable (which as you know, based on the blog, is largely based upon Dr. Deming’s ideas – which means lean manufacturing are widely covered too). I hope the book is now in a state where those who are interested would find it useful, but it is in what I consider draft format. I still have much editing to do and content to add. Leanpub also provides a sample book (where a portion of the content can be downloaded to decide if you want to buy). If you are interested please give it a try and let me know your thoughts. This entry was posted in Books, curiouscat.com, Deming, Lean thinking, Management, Process improvement, Psychology, Quality tools, quote, Respect, Systems thinking and tagged Books, curiouscat, Customer focus, Data, Deming, John Hunter, Lean thinking, management, respect for people, Six sigma, Systems thinking on August 2, 2012 by John Hunter. The Curious Cat management blog carnival is published 3 times a month with hand picked recent management blog posts. I also collect management improvement articles for the Curious Cat Management Articles site; an RSS feed of new article additions is available. 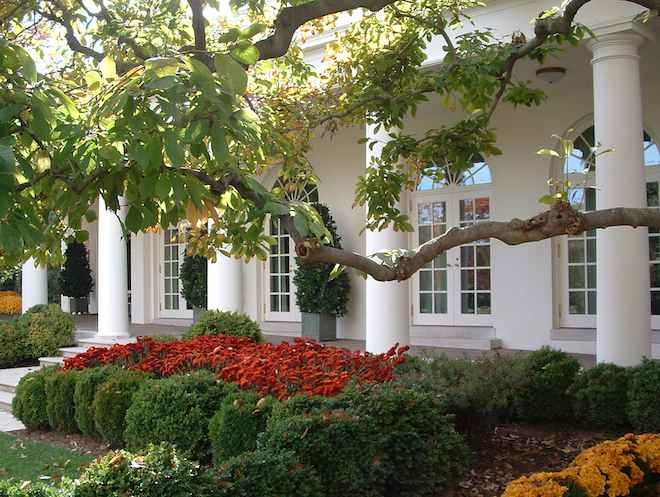 White House Rose Garden, Washington DC. By John Hunter. See more photos from Washington DC. This entry was posted in Carnival, Management and tagged Carnival, Lean thinking, management, photos on August 1, 2012 by John Hunter. Trust – Cornerstone of Performance – George Rathburn explains that teams lose trust in their leaders when they fail to show trust and respect in their teams. The management sub-Reddit is a social network for those interested in management improvement to post useful online resources and recommend those they found most worthwhile. This entry was posted in Carnival, Lean thinking, Management and tagged Lean thinking, management on May 11, 2012 by John Hunter.